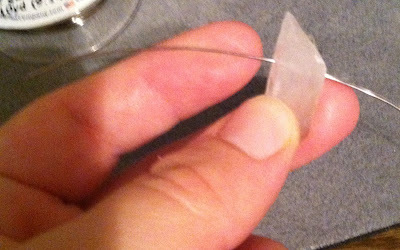 Cut one long 30″ piece of 22 Gauge Silver Plated Pewter Soft Flex Craft Wire. Use the Nylon Jaw Pliers to straighten your wire piece. 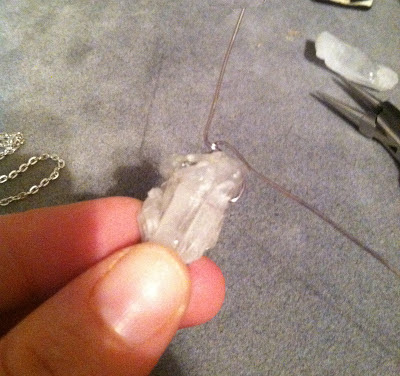 String your rock crystal icicle on the wire leaving 1.5 inches of craft wire on one side. 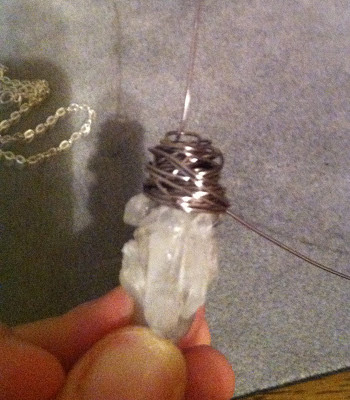 Bring both sides of the craft wire up to the top middle of the bead. Twist the craft wire together a few times to secure it in place with the shorter wire end sticking up. 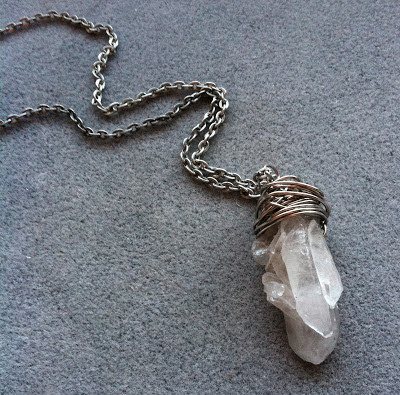 Now take the longer wire end and wrap it around the crystal icicle. You can wrap it as neatly or messy as you want depending on the look. I like to make my wire wraps messy, it’s quick, easy and I like the texture effect of it. If you like the look of tight, clean wire wrapping you can do that at this step. Once you have it looking they way like it, stop wrapping (but don’t cut your excess wire yet). 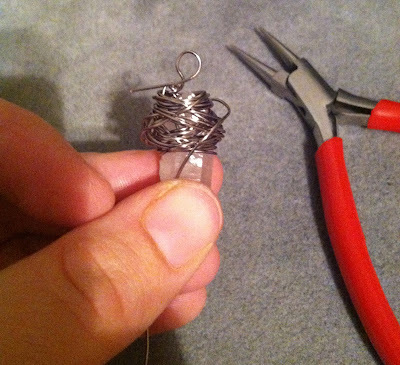 Next, go back to your shorter wire end and make a loop for your pendant with your round nose pliers and cut off the excess wire on the short wire end. Lastly, I went back to my long wire end and do a few final wraps around the top near the loop to tighten it up and give the pendant a clean finished look. Cut off any excess wire on that long end and use a chain nose pliers to tuck in the wire tail. 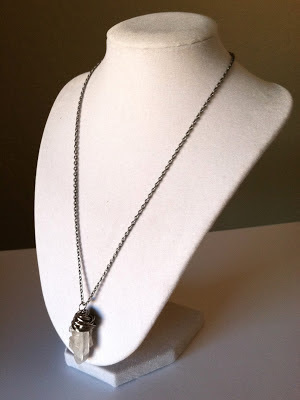 Lastly, add your pendant to a simple 16″ – 20″ pewter chain and you’re done. You can make these in all sorts of colors! 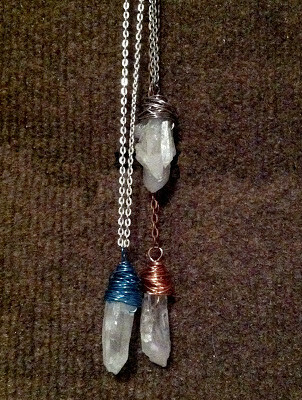 The Soft Flex 22 Gauge Craft Wire colors I used in the necklaces shown are Silver Plated Pewter, Non-Tarnish Copper and Pacific Blue.